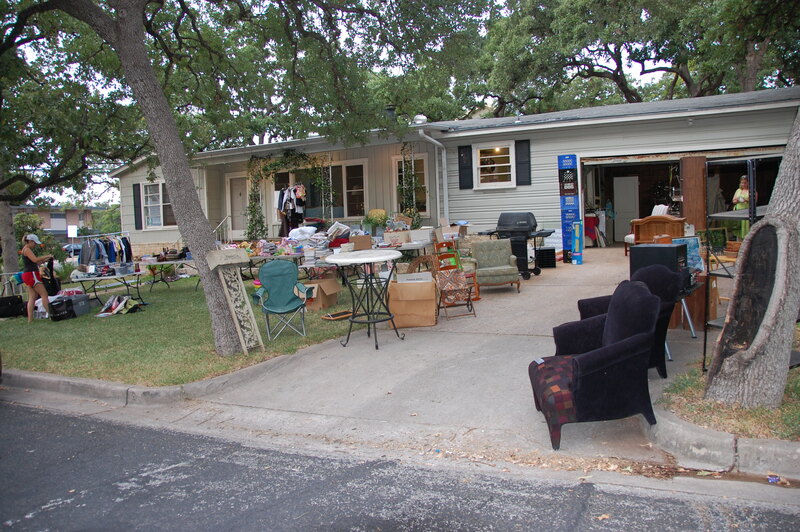 ← Garage sale hopefully = a living room decorated. We survived the garage sale, barely. Where to begin? 5:30 am to noon flew by in a flash. I was awake at 5:20 am staring at the ceiling willing myself to stay in bed until 5:30 am, certain I was crazy for not being able to sleep the night before a garage sale. I mean seriously? What’s the big deal? Why the anxiety? I could imagine a disorganized disaster and wanted to avoid it at all costs. So my mind was racing, hoping I had thought of everything. And despite the lack of sleep, the day went well. Scott and I set up tables and placed junk in the yard from about 6 to 7. People starting driving by about 7 am and I told them that as long as they stayed out of our way until we were set up, they could begin shopping. This is what the placed look like at about 7 am. And this is what the place looked like about 8 am. I would imagine we had about 200 or 300 people through the sale throughout the day. Can you believe these beauties did not sell? They belong to my friend’s new husband. Arthur was not keen on getting rid of them, so had them priced a bit high. We sure did push them, but to no avail. I am very curious to know if they went home again, or to goodwill. 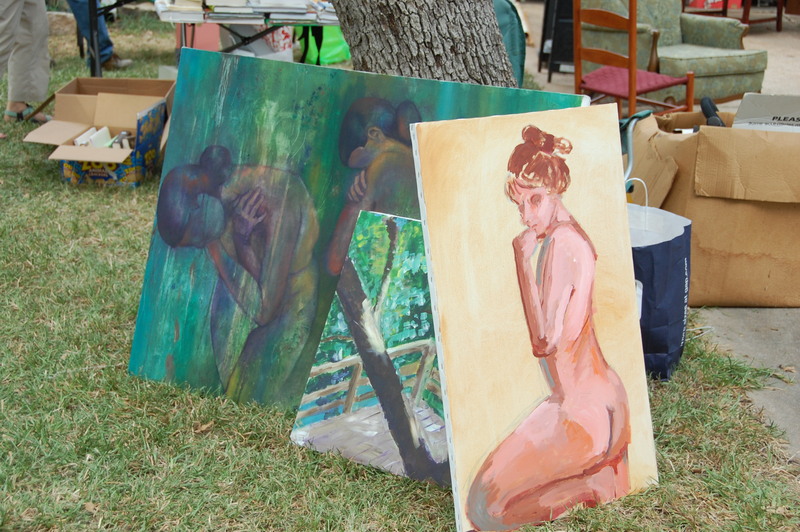 Several women did comment that the paintings lured their husbands to the sale. At one point our whole street was jammed. 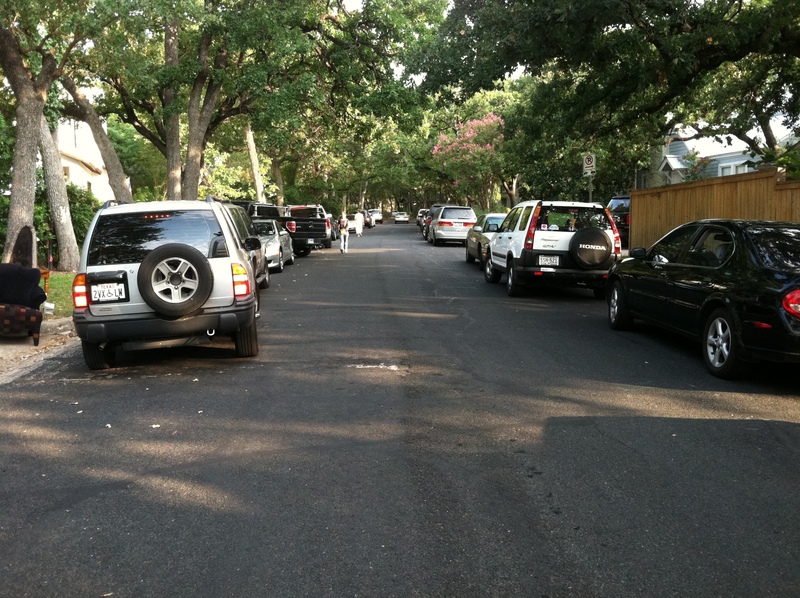 We did not document that well, but in this picture, you can see how far up the street people had to park. My poor neighbors. I am absolutely amazed by the people who frequent garage sales. Some feel entitled to your stuff for free, or very close to it. We had a huge table of books, marked a $1.00 each. A lady said to us, “You know, the normal garage sale price for books is $0.50!” Sorry lady. Not at this garage sale. The funny thing is, I sold a lot of books for $0.50, to people who politely asked to negotiate. I met several neighbors and a lot of wonderful people. And I received help from some dear friends who sold their stuff. Andria, Kat, Susan, Laura, Mom. My goodness, they made it bearable. We finished about 2:30 pm with the sale, and then spent another hour taking the remainder to goodwill. By 3:30 or so, I was eating lunch, then showering, then laying in my bed thinking about needing to clean my house. No rest for the weary, but I do think I have a good little stash to start some living room decorating. Yay! 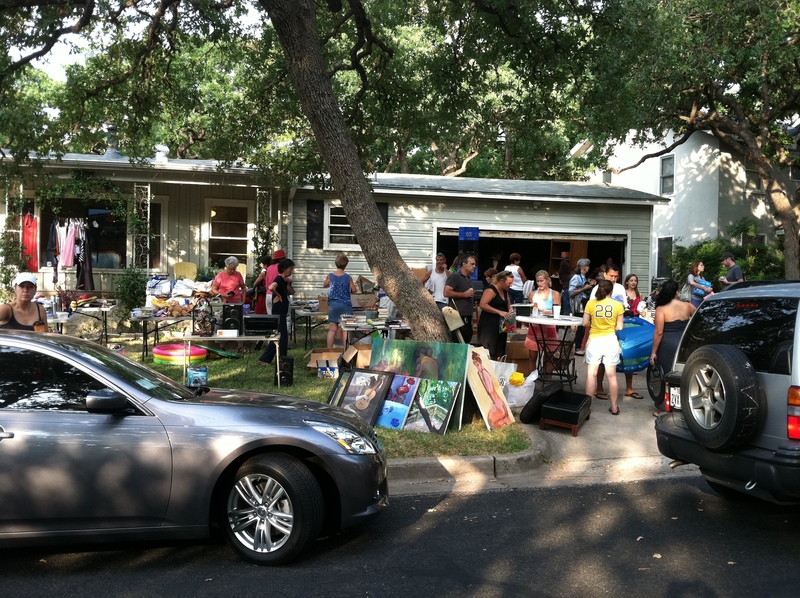 The experience will make me a better garage sale shopper, but I doubt I will plan another said anytime soon. you had excellent chairs for sale! I wish I could have stopped by to get them. Good job!